Your home for the best quilting classes, Batik fabrics, and quilting and sewing machines. We sell pre cut kits for all your favorite projects. Kits come in a variety of expertly paired fabrics and include the batting you need to make the project. We also throw in the pattern for the project for free. Come in and check out the fun fabrics and great kits we have, from a super simple table runner to a quilt. 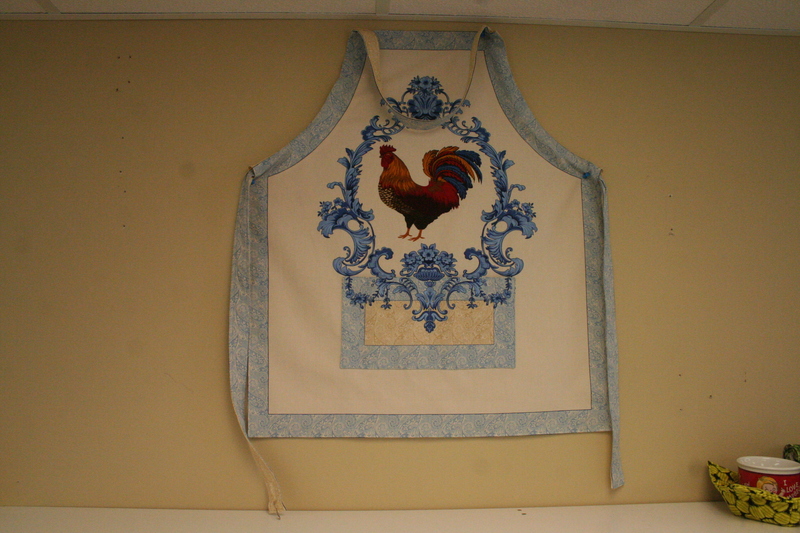 This panel creates an adorable rooster apron. Perfect for a summer afternoon project! This kit includes the pattern and two fabrics to make this simple but beautiful table runner, perfect for any table in your home. This kit contains two fabrics expertly paired together and the pattern and backing to make the casserole holder. 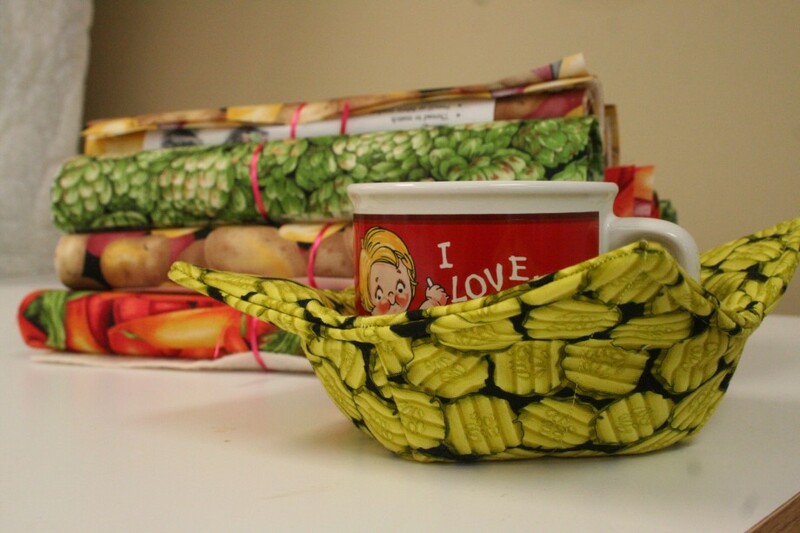 Pre-packaged kits come in a variety of patterns with all the material you need to make this microwave pot holder and a free pattern! Buy the kit for this project and get the pattern for free so you can make as many pillow cases as you want. 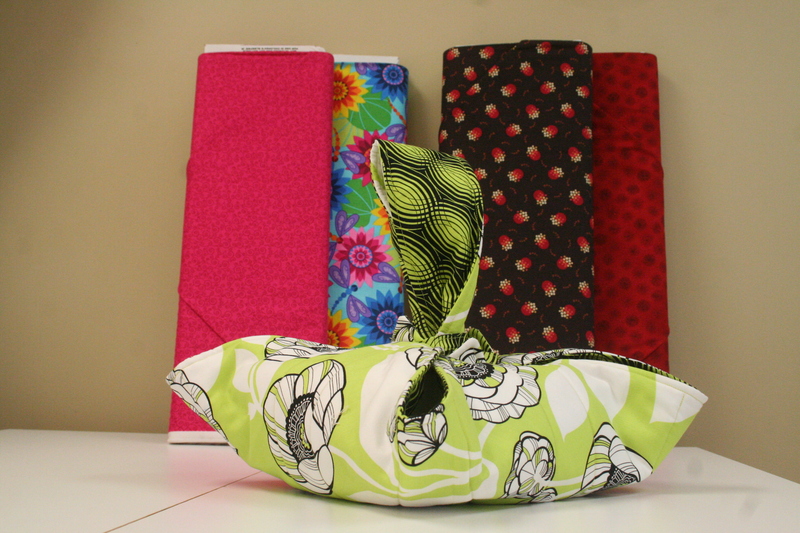 Also, Donna will be happy to help you pick our some fabric pairs that are perfect together. We do not accept credit or debit cards, sorry. Cash or check only.